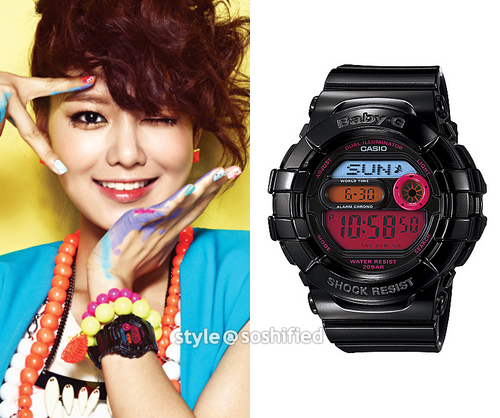 Karen Kho: [ADV] Baby-G, CUTE, COOL, TOUGH! [ADV] Baby-G, CUTE, COOL, TOUGH! It's that time of year when love is in the air. It is the most important day in a year to celebrate your love. Are you looking for an unique Valentine's Day gift to please your sweetie? What gift are you going to buy when you want to show her/him you care? 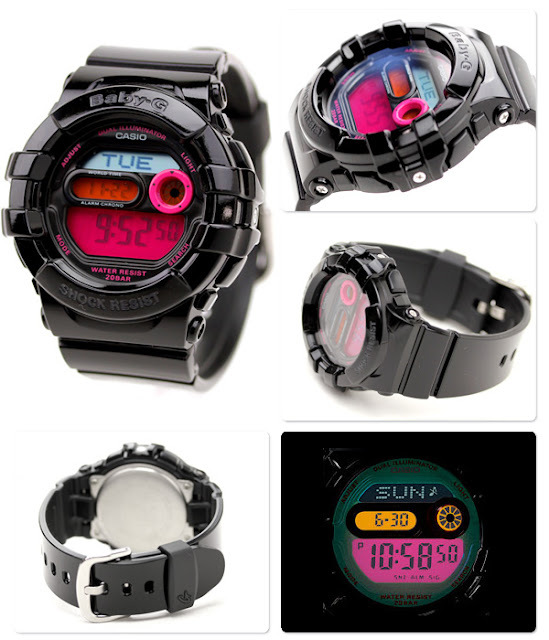 For anyone who is active, the BabyG watch from Casio is a great gift idea. It is cute, made for those with an active lifestyle, and is very affordable. Taeyeon, Jessica, Sunny, Tiffany, Hyoyeon, Yuri, Sooyoung, Yoona, and Seohyun are the nine members who make up the South Korean girl pop group Girls’ Generation. Girls’ Generation embodies the “tough, cute, cool” concept of Baby-G, Casio’s shock resistant watches for women and will represent the face of the brand in South Korea, China, Hong Kong, Macau, Taiwan, Vietnam, Thailand, Indonesia, the Philippines, Malaysia, Singapore, and Australia. Girls’ Generation started 2013 with a bang releasing their 4th full-length album - I Got a Boy. This new album comes a year after the 3rd full-length album, ‘The Boys’, and all 10 songs in various genres is expected to appeal to a wider global audience. 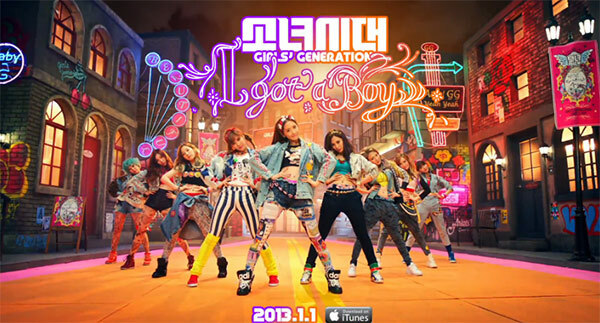 The title song ‘I Got a Boy’ is an electronic dance song that mixes pop, retro, and urban genres. This new style of songs was created for Girls’Generation by a dream team comprised of ‘Dsign music’, a group of famous composers that composed SNSD’s hit song, 'Genie’, as well as the top composers from Europe including Will Simms and Sarah Lundback, and Korean composer Young-Jin Yoo. ‘Dancing Queen’ which displayed the popularity of Girls’ Generation by sweeping various music charts as a prerelease is a remake of Duffy’s ‘Mercy’ while ‘Talk Talk’ is the Korean version of ‘Boomerang’ which was in the 2nd full-length album released in Japan. ‘Baby Maybe’, composed by English singer-songwriter, Pixie Lott, combines lyrics written by Soo Young, Yu Ri, and Seo Hyun while ‘XYZ’ was also written by Yu Ri and Seo Hyun. This album also contains ‘Lost in Love’, the duet by Tae Yeon and Tiffany, about breakups with the rich and moderate voice of Tae Yeon perfectly matched with Tiffany’s smooth and youthful tones. Other tracks in the album includes ‘Promise’, the medium tempo ballad with the message from Girls’Generation to their fans, ‘Express 999’, the retro pop combining various genres, ’Look at Me’ which combines organic beat, playful melody, and easy-to-sing-along chorus, and ‘Romantic St.’, a romantic swing jazz style number. Love my Baby-G, can mix and match with any outfits! 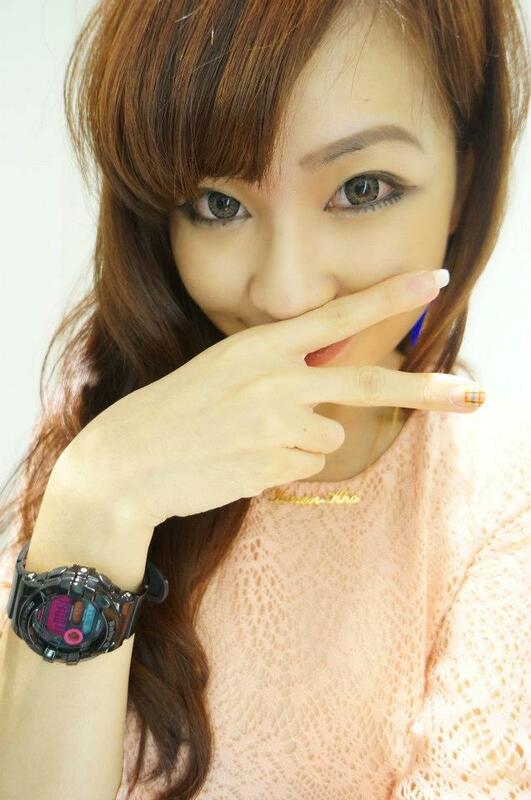 #ootd, Baby-G watch + Necklace from Glamtags + H&M lace dress.